After following in his father's footsteps at an early age, Peter always knew dance was going to play a major role in his life. Peter started to gain his education in dance in 1985 and began his competitive career at the age of 18. 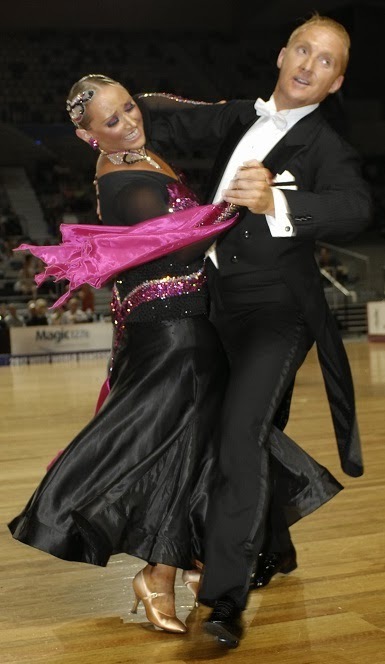 In 2009 he opened Hurstville City Dance as a way of allowing others to start their journey into Ballroom and Latin as he did. Peter is currently competing as a Professional Dancer with his partner of 3yrs, Briony Penrose. Peter enjoys all aspects of this remarkable industry not only as a competitive dancer and teacher but having also achieved his Level 2 (Licentiate) coaching & adjudicating qualifications in addition to being a respected director of the FATD. In his capacity as a Studio owner and principal, Peter believes that raising up the next generation of dancers is of the utmost importance and practices what he preaches with the Hurstville City Dance Scholarship program which currently boasts 40 very talented members all of whom have gained valued exposure to dancing through the program. Simultaneous to running the Scholarship program, Hurstville City Dance has forged a remarkable relationship with Hurstville City Council and St George Community Housing as they partner together to bring dance to a delightful group of intellectually disabled participants who meet weekly at the Wednesday Social Dance Club. This club has been a staple of the St George Community Housing calendar for the past 2 years and for many more years to come. Peter is available for private tuition and is contactable via Hurstville City Dance.